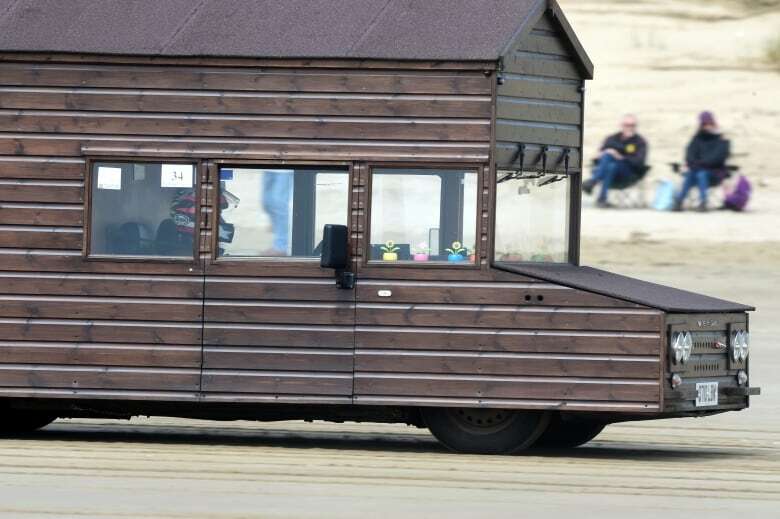 Kevin Nicks revved up his motorized shed on Pendine Sands beach last week and hit 162km/h to break a land speed record he set a year prior. Kevin Nicks is a champion race driver — in a shed. This is not, of course, your ordinary shed. It's got an Audi RS4 engine and boasts 450 horsepower. And, last week, Nicks broke his own land-speed record in it. 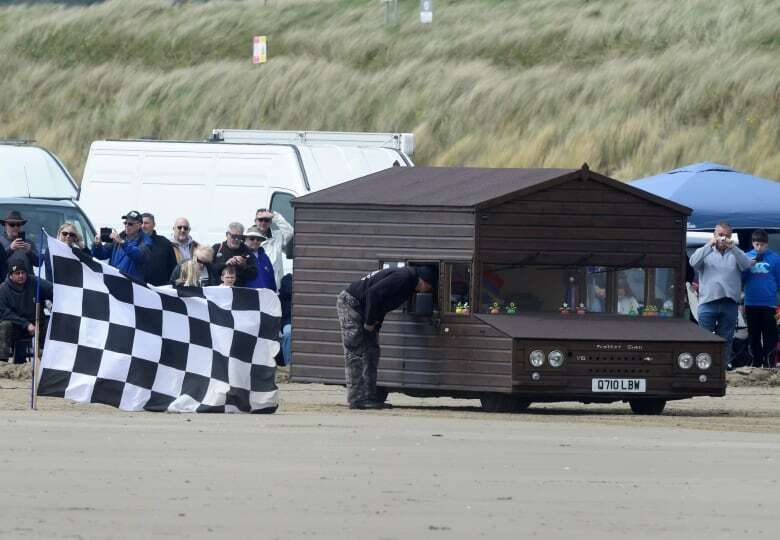 As It Happens host Carol Off spoke to Nicks about the record-making ride at the Pendine Sands Racing Club on the south coast of Wales. Kevin, congratulations. What does it feel like to barrel down the track driving 160 kilometres in a shed? If I take anybody in it, they always say to me, "It's not what I expected." I've driven thousands of cars and it is by far the most comfortable because you've got so much space around you. It's quiet. Now, it's incredibly fast. But it's the acceleration that's fast. I've never driven anything so fast. The problem I have, obviously, is aerodynamics because I don't have any. So the acceleration up to 80 is phenomenal. But then it's like trying to drive through tar the faster you go. I had to more than double the horsepower to gain an extra 25 miles an hour. I guess the question is, why? 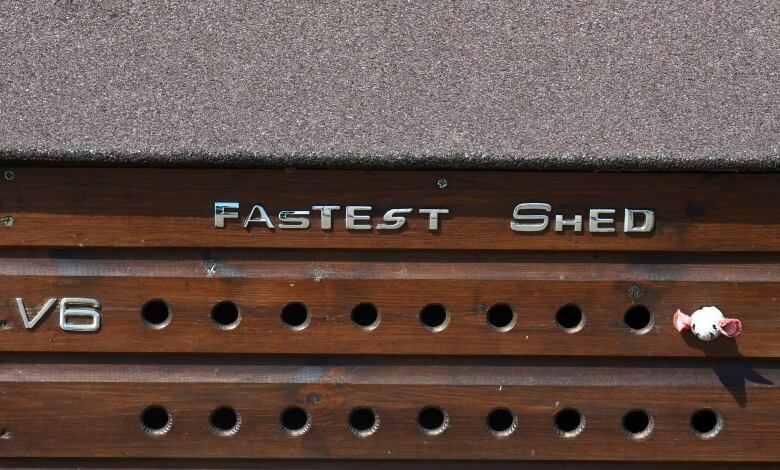 Why did you want to have the fastest shed on the road? Well, the very short story was I had a car that sat there, that I hadn't used, that I was going to scrap. I'd take the front off it and use that on a different car. But it was too good to scrap. So, I just decided to do it and that's what I did. But Kevin, why a shed? Lots of people want the fastest thing on the road, but they don't want a shed. In life, if you do the same thing as everybody else, you just become the same as everybody else. And, you know, we weren't all born to be the same, were we? What are the creature comforts that you have inside? Besides being able to go so fast, can you make a pot of tea while you're there? No. It's like a car inside. I've got air-conditioning, electric windows, remote control central lock in. I've also built a very tricked suspension system where I can lift the car up and sit it down on the ground. I've got quite a good trick that I do with that. You broke the record last year, but the record was set by you. Is there another fast shed on the road anywhere? There was one, which is owned by a man called Edd China. He's a famous TV guy, known for a program called Wheeler Dealers. But he set a Guinness World Record of 58 miles an hour. I didn't know that until I'd nearly finished building mine, originally. I thought, "Oh, well, I can have that off him!" So Pendine Sands is where you did it. What's so special about that place? In 1927, Malcolm Campbell did 174 miles an hour along the beach and his son, Donald Campbell, followed in his footsteps with car and boat called Blue Bird. There was also, back in the 1920s, a very famous car called Babs. Sadly, he had an accident at Pendine and he got killed. 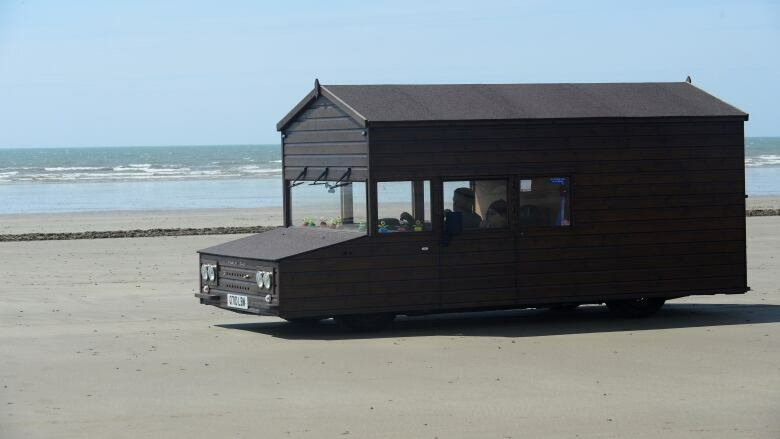 So what does it mean for you to actually be doing this record-breaking run on Pendine Sands? To be a tiny part of all that huge, fantastic history, it's truly amazing. It's such a magical place. And was it a magical moment then? It was, yes, because I've consumed my life rebuilding all this this winter. To say it was a lot of work was an understatement. But I fitted it, got it in, got it running. My first run to go out there and go over 100 miles an hour. I went out the next day — not many people know this — and I did 105mp/h. You broke your own record again the next day? You mentioned how much time you spent getting to this point. This has been a labour of love, I guess, with you and the shed. A lot of people say, "How much did it cost?" Money doesn't inspire me and I'm not ruled by money. A lot of the Western world appear to be nowadays and they're losing things like pride, respect, determination. A lot of people just give up. Written by Chloe Shantz-Hilkes and John McGill. Interview produced by Chloe Shantz-Hilkes. Q&A has been edited for length and clarity.